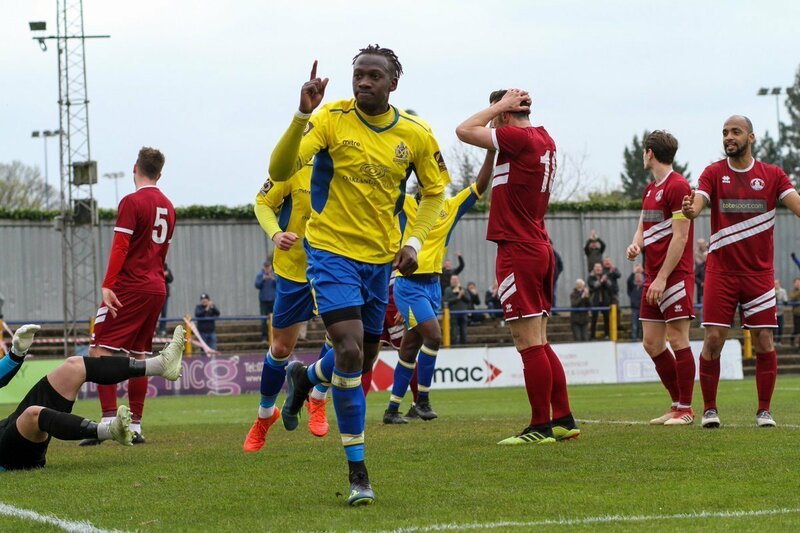 David Moyo has been rewarded following his two-goal performance against Chelmsford City on Saturday by being called up to the FA Representative side to face a Bedfordshire FA team at Kenilworth Road tomorrow night. Moyo will join Saints duo Dean Snedker and Ben Wyatt who were invited into Paul Fairclough’s squad last week. Also joining the backroom staff for the celebration fixture is club physio Paul MacInnes. Kick-off at Kenilworth Road is 7:45pm and entrance fees are £5 for adults and £1 for concessions. You can purchase tickets ahead of the game right here. Photo courtesy of Jim Standen.